Check out our latest victories and thank you for supporting forests forever's fight to save California's Forests! 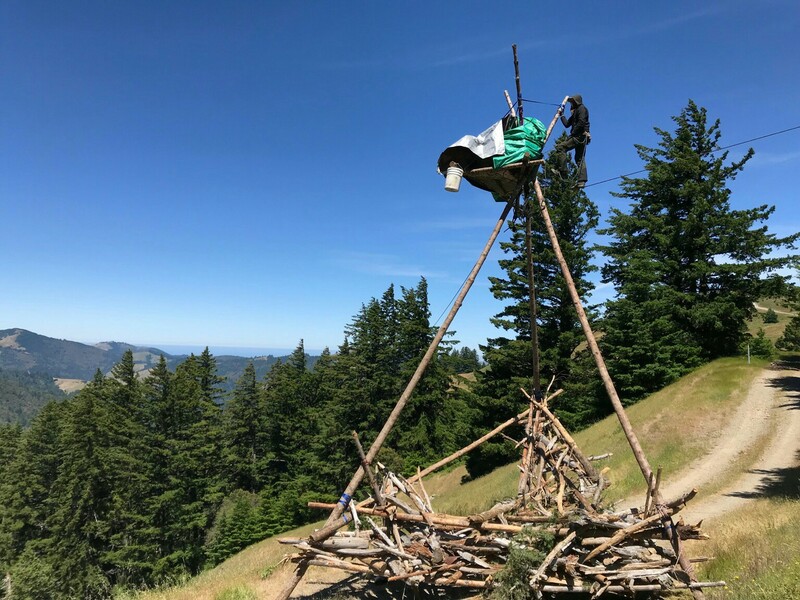 One of our proudest achievements in 2018 was the role we played in helping to stave off logging set to go ahead at Rainbow Ridge, where is found some of the largest remaining unprotected primary, or ancient, stands of Douglas-fir on Earth. At the state level we helped shape the direction of forest management in the wake of unprecedented wildfires in California—most notably the Wine Country and Thomas fires in late 2017 and the record-breaking Mendocino Complex fire in July. These conflagrations captured headlines worldwide and impelled politicians, agencies, advocates, and the public to focus anew on issues ranging from tree mortality and drought to carbon sequestration and industrial logging's impacts on the state's forests. Forests Forever worked with ally organizations, the legislature, agency officials and, most importantly, the concerned public to help guide emerging fire and forestry policies toward sustainable, restorative goals—and away from capture by the timber industry and unduly profit-driven interests. Also at the state level, we continue to participate in the management of the Campbell Creek Planning Watershed Pilot Project, which Forests Forever played a key role in establishing in 2016. This project is tasked with studying Campbell Creek's cutover watershed and extracting all available data about this logging and its impacts, then assembling a first-ever system for assessing the cumulative effects of these activities on soil, water, wildlife and other environmental parameters. A finished approach then could be extrapolated to working forestlands across the state. Richard Gienger, our advocate, is one of the 21-member working group of experts in charge of steering the effort, which will wrap up in the coming days. While the pilot project concludes, a forest that we helped recover in 2003 may now be about to begin an exciting new phase. 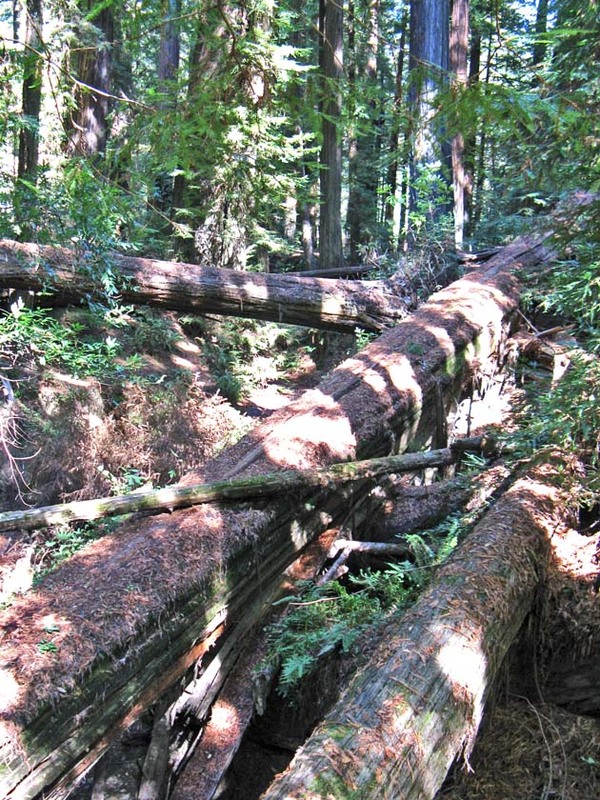 Jackson State Forest, a 50,000-acre taxpayer-owned redwood forest on the Mendocino Coast near Ft. Bragg, was being logged intensively, including by clearcutting, by CalFIRE itself up until 2002. Jackson State Forest, a 50,000-acre taxpayer-owned redwood forest on the Mendocino Coast near Ft. Bragg, was being logged intensively, including by clearcutting, by CalFIRE itself up until 2002. But in 2003 a Superior Court judge in Mendocino County ruled in our favor in a suit in which we were a co-plaintiff. The verdict effectively halted logging at Jackson for eight years until a revised and proper management plan could be written and a new citizens-advisory management body could roll out. Today Jackson boasts 55,000 board feet of standing timber per acre, a much greater volume than is found on comparable private industrial lands in the redwood region. We met with Jackson's managers and other forest-protection allies, toured the forest and recovering areas and, with our peers, may soon move to apply a kind of cut-less-than-grows timber management now in place at Jackson to all statewide timberlands. California pushes back against Trump public-lands grab! On Oct. 6 Gov. Jerry Brown signed a landmark piece of public-lands-protection legislation into law. Our national forests, parks and monuments are the birthright of every American. And with the passage of S.B. 50, The Public Lands Protection Act, the California legislature signaled that it will fight to preserve that legacy for every Californian. 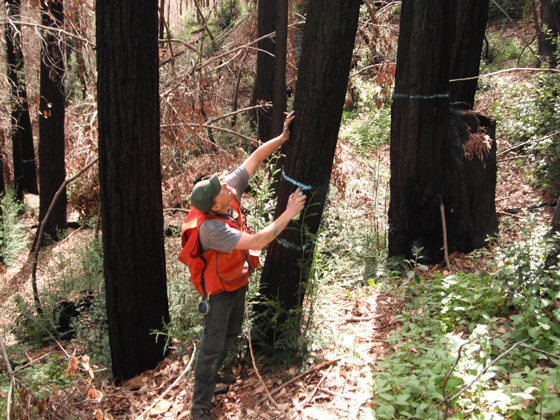 Groundbreaking pilot project in Mendocino County has the potential to positively impact the conduct of logging statewide! After years of advocacy work, legislation, and grassroots organizing California's first forestry-reform pilot project got underway in December 2016. There's much reason to hope for a positive outcome. For one thing, Forests Forever's forest policy advocate Richard Gienger was selected as one of the initial 11 persons seated on the Pilot Project Working Group that will oversee the project. It is set wrap up about two years after it began. We intend to give Napa County voters a say in saving their oaks, waters! County officials had earlier sidelined the measure on a technicality. Now—even as some Wine Country fires still burned, in the fall of 2017—a decision had to be made to either abandon the effort, re-draft the measure and re-gather signatures, or craft another strategy for protecting the watersheds and woodlands. Forests Forever partnered with the Napa County Water, Forest and Oak Woodland Protection Initiative in its signature-gathering push to qualify for the ballot. Trump's bid to scuttle national monuments met heavy resistance. Seven California national monuments were placed in the cross hairs of the Trump administration as it sought to remove protections from public lands and eventually hand them over to local control and industry. In Mendocino County we played a key role in qualifying, then promoting, a voter initiative that effectively would ban the large-scale tree-poisoning method known as "hack and squirt," used primarily on oaks. On June 7 it passed on a solid 62 percent majority! We also helped to qualify a ballot measure in Napa County that would establish no-cut stream buffers while limiting the destruction of oak woodlands. In the City of Richmond in the East Bay we are on the verge of qualifying a citizens initiative that will protect some 430 acres of precious oak forest and savanna threatened with development. New California coalition to support, strengthen oaks groups! 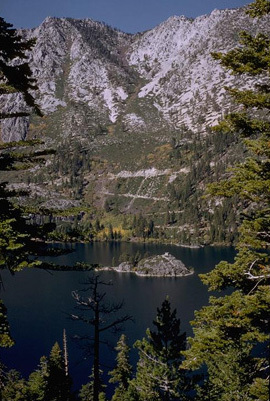 Forests Forever was instrumental in helping to birth a new statewide network, the California Oaks Coalition. 2016 also saw the selection of a forest-watershed pilot project location—something we have advocated for years—and its guiding committee was tapped, with a seat held by Forests Forever's advocate Richard Gienger! Assets contributed and other gains in tumultuous 2016! Forests Forever, now in its 27th year of existence, brought other valuable assets and accomplishments to the fight in 2016. Logging–rules reform Find out more about how we are leading the fight in an historic logging–rules reform effort. Hack-and-squirt tree poisoning Learn what Forests Forever is doing to stop the needless poisoning of millions of trees per year in California. Berryessa / Snow Mountain: newest national monument! 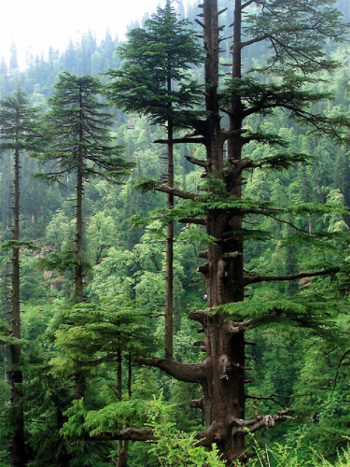 "To all the Forests Forever supporters who wrote to the president urging him to take executive action to save the 'SnowBerry' region, your action has paid a rich reward,” said Paul Hughes, Forests Forever executive director. “Give yourselves a big pat on the back-- or better still, plan to get up there and see the area soon. Ahead in 2016 Take a read of some of the other things we see ahead in 2016! Full year in review alert Check out our eAlert for a full review of 2015 accomplishments. Forests Forever spent 2014 locked in a momentous struggle to fully realize what is our latest—and could be our last—great opportunity to thoroughly overhaul California’s broken system that regulates logging practices. With your letters and support, and the relentless pressure of our advocate, the EMC has listened! 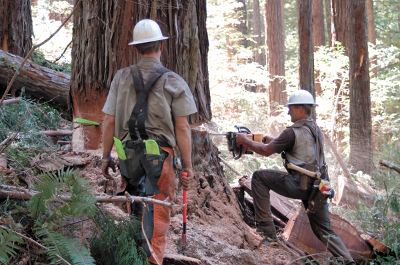 Every working day Forests Forever speaks directly to concerned Californians, making them aware of the latest threats to forests and marshaling their phone calls, emails, and individually written letters to targeted decision-makers. We reach thousands of citizens per year with our urgent message. Read more about our organizational accomplishments last year. Many new members of the Assembly and Senate must become acquainted with our issues and brought up to speed. We aim to cultivate a close relationship with the next major pro-forest champions in the state Capitol, as we did with retiring Assemblymember Wes Chesbro for many years. Never letting down our guard, Forests Forever fought to stave off the lumber retailers lobby, which in 2013 went after the funding from A.B. 1492, seeking to drain off exhorbitant setup fees to collect the tax. We headed the raiders off at the state Board of Equalization and helped make sure the money will flow where it is supposed to: protecting forests. Major Victory! Ominous S.B. 455 revised! Forests Forever scored a major win recently when supporters of Senate Bill 455 struck out all of its language proposing vast, new Watershed Timber Harvest Plans (WTHPs). Susan Britting lands forestry board seat! THE ROADLESS ACT IS BACK! WALDEN SALVAGE LOGGING BILL DIES WITH SESSION Thanks to continuing pressure from concerned citizens, scientists and environmentalists, the bill was unable to gain traction in the Senate this year. RON NEHRING WILL NOT BE CONFIRMED TO THE BOARD OF FORESTRY Nehring's appointment would have tipped the balance of the board yet further in favor of industry and away from sound conservation practices and citizen participation. NEW FOREST SERVICE RULES FOR ORV USE Citizens concerned about the environmental impacts of off-road vehicles (ORVs) in the national forests now can have a hand on the steering wheel. A.B. 715 PASSES ASSEMBLY, MOVES TO SENATE! 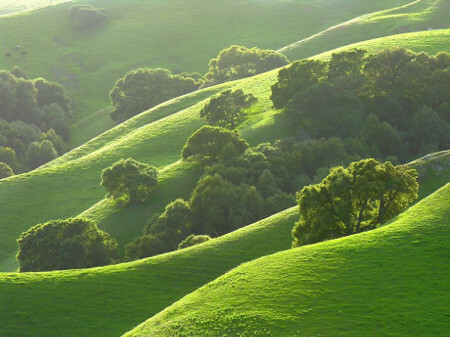 VICTORY FOR CALIFORNIA'S OAK WOODLANDS! Forests Forever supporters wrote, called, faxed or emailed state senators 1,967 times, assemblymembers 4,918 times, and Gov. Schwarzenegger 2,090 times about the oak woodlands bill. Due to your efforts, there is now, for the first time, a mitigation formula to help conserve the unique oaks of California. JACKSON STATE FOREST BILL GOES TO GOVERNOR! A bill Forests Forever has supported from the first has been passed by the state legislature and now needs only the governor's signature to become law. NEARLY THERE: OAK WOODLANDS AND HERITAGE TREE BILLS MOVE ON! Two bills Forests Forever has supported from the beginning are going into the home stretch in the Assembly.